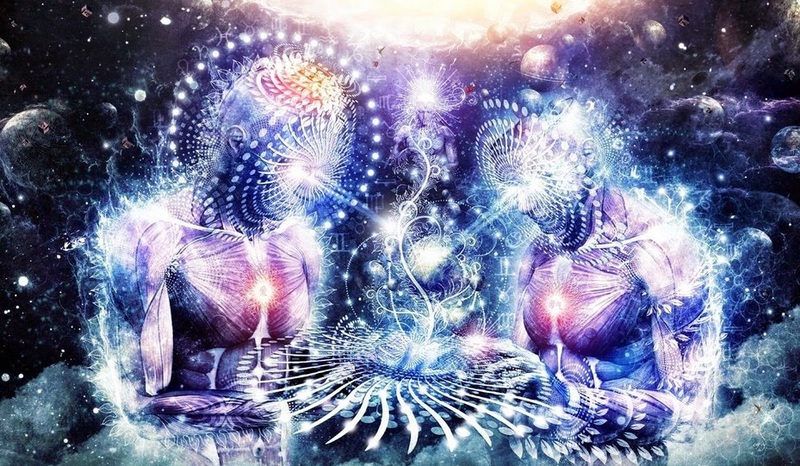 There has recently been a huge surge of interest in DMT, ayahuasca ceremonies, and pineal gland activation – and, of course, the life-changing experiences that they bring. 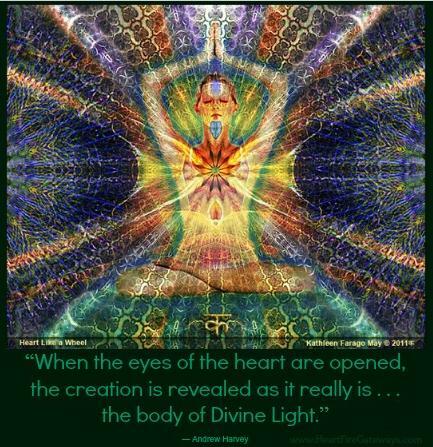 There has also been a very impressive intensification of my own amazing, powerful, lucid, wakeful experiences in this area due to my own natural pineal activation. 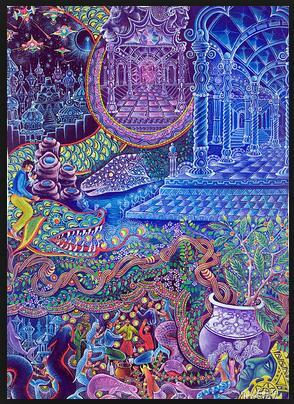 It is very important to note that I had never taken DMT externally nor done any ayahuasca, actually had not touched any hallucinogen in over 25 years (until June of 2018, when I did two nights of ceremonies at a friend’s place in Costa Rica where I live). 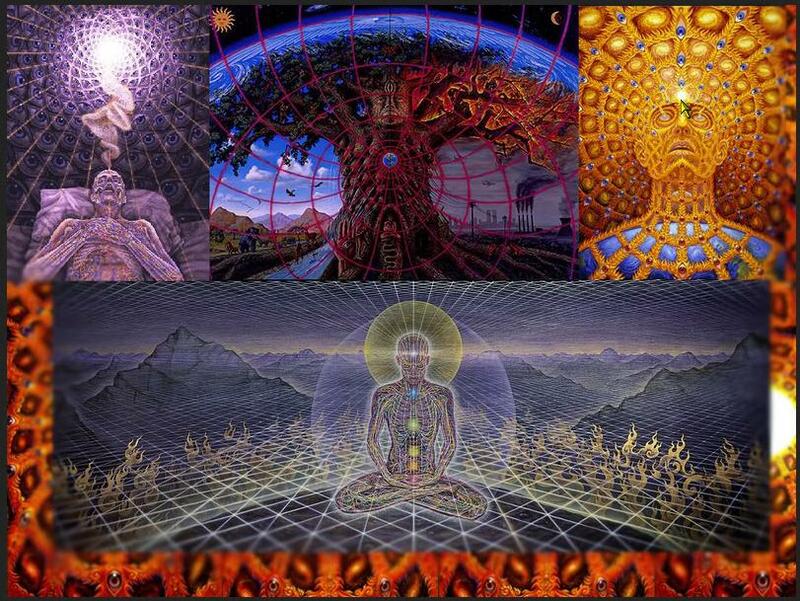 But the fact is that all my daily experiences were initiated via, and continue to be based from, a 100% natural yogic/energetic process: the decalcification, cleansing, and then activation of the pineal gland in the center of all of our brains. I did my first international radio show last night, and the subject naturally came up. But then, this morning, things got really interesting . . . . Synchronicities abound! Earlier this week, a couple of people asked me how to detoxify and activate their pineal gland, so as to generate their own ‘vision’ into the realms that I’ve been privy to for around two full years now, and attempt to also experience the blisstacy resulting from my activated internal pharmacopeia: the hormonal secretions of of my pineal and pituitary glands, often called in ancient yogic texts ‘the nectar of the gods’…. (see my post ‘Afterglow’ for more on that magnificent aspect of Nirvana Bliss 🙂 ). The next day a short blog post landed in my e-mail inbox, and I forwarded it to the interested parties. Well, it just happened again! This morning, after my first guest appearance on a radio show talking about (in part) these experiences, another even more extensive and detailed article appeared on this timely subject by WakingTimes.com. As it happens, I had prepared this blog post around two weeks ago, and had planned to publish it in late August — but didn’t. Now I know why. So what follows is the little bit I had written at that point, inspired by none other than Terrence McKenna, the ‘Timothy Leary of DMT’, plus a much more detailed, thorough, and entertaining full-length documentary on the subject. 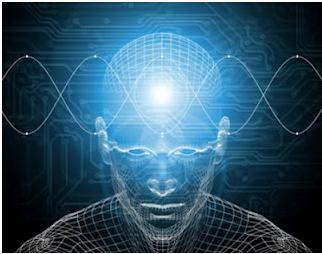 Here is an article, and YouTube video, defining the concepts and mechanisms involved in great detail (http://www.social-consciousness.com/2014/03/informative-video-on-the-pineal-gland-and-activating-your-third-eye.html). And here is a detailed article by a PhD I include now (with my current edit of this article in June of ’15) regarding the actual science of how the pineal and pituitary glands, along with the person’s own ‘energetics’, work together to open the 3rd eye — and the general information regarding the techniques of how to accomplish this for yourself. 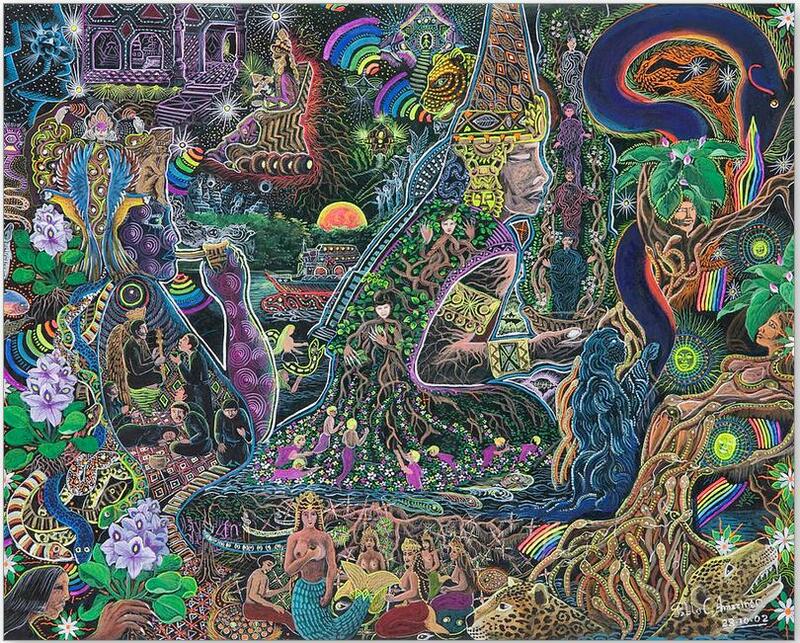 I also share with you here this excellent article on the world of Ayahuasca, the structure of the Multiverse as revealed via the visions the ‘medicine’ usually facilitates, the man who is considered to be ‘The Shaman of Shamans’ in South America, Pablo Amaringo’s remarkably detailed and accurate art, and more. EnJOY this potent and fascinating information and, much more importantly, please USE IT to enhance your own life with infinitely more fascinating personal experiences, and open the doors – and windows, and ceiling, and walls, lol – to the Worlds beyond this one that the mystics and seers have been telling us about for millennia. And that I my Self see (and feel) into every day . . . .